To Edit or delete a user posted link, re-enter the link data and then notify the Links Editor to delete the old entry at: Wedding Links Editor. As you enter the Ballroom, the music starts and you effortlessly glide across the floor. Everyone watches in awe at the grace and style that you possess. Wedding Dance Packages teach quickly and easily dance steps that are fun and exciting. In Step's Wedding & Party Class Series repeats every 5 weeks . This class prepares the wedding couple for Wedding Reception and other social functions. Private Lesson Packages provide that "polished" look for your first dance, Include members of the Wedding Party in the classes and have In Step provide a lesson at the reception to entertain during the photos and start the party. Step into the spotlight, indulge in true love, and wow everyone at your wedding! 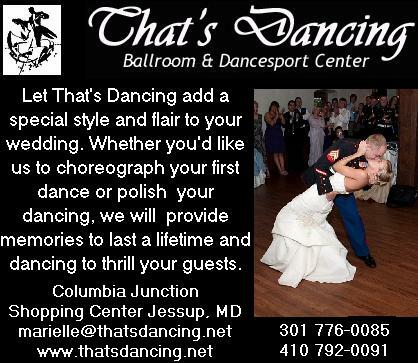 The premier spot for wedding dance classes in Northern Virginia, specializing in personalized and custom tailored wedding and special event dance lessons. Impress with your ability to move gracefully and confidently on the dance floor. Learning to dance together is something you'll never forget! . .
Beth and Benji have changed and improved the dynamic of dance studios. They train their staff focusing on customer service, AND how to teach dance lessons to anyone. The ideal studio in East Memphis. Wedding Dance for Family and Friends, the father-daughter dance or mother-son dance. Make your first dance one no one will forget. Check out our wedding packages including Mother-Son and Father-Daughter dances. As every bride and groom have an unique vision for their first dance, we are the wedding masters, preparing you and designing your first dance to be memorable! Portland Dancesport can help you make your first dance memorable and less stressful. Learning to dance is fun, enjoyable and can be a hobby you can share together long after your wedding day. We teach all Latin and standard ballroom dances. Let us choreograph a routine to your special song. Individual, group classes and special wedding package deals are available for the bride/groom, father/daughter, son/mother, wedding parties and more. We cherish the opportunity to work with you and help you prepare for your special day! We create individual plans to fit your personal situation. Make Sure You Don't Feel Awkward In Front of Family & Friends On Your Big Day! One of the first tasks you will have as husband and wife is your 1st dance. 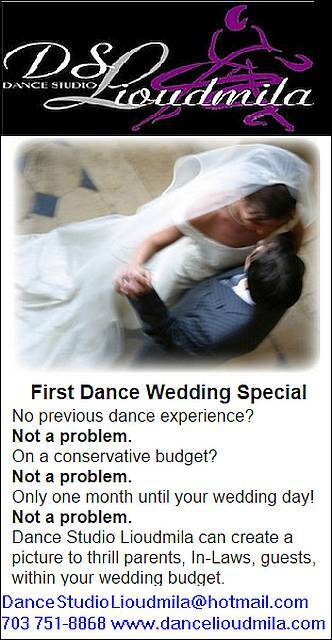 We are Loudoun's perferred wedding dance destination. Book your FREE 1st lesson today. Wedding Dance Instructors and Party Entertainers in Orange county and Los Angeles. First Dance Choreography and Entertainment in L.A. and O.C. 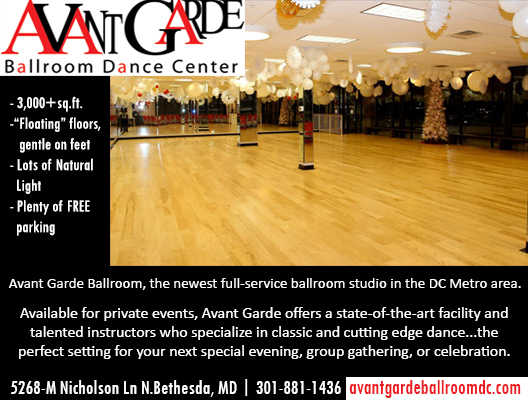 dance studio, events, weddings and parties. Your first dance can be the longest minutes of your life when you are shuffling and spinning manically in a circle. Our goal is to help you achieve the perfect start to your evening wedding celebration with your perfect dance! Recreational Dancing in an intimate setting. Convenient to White Flint Metro. Plenty of free parking. A good neighborhood and a nice place to dance. This is the moment you have been anticipating and Studio Inspire wants to help make your wedding day perfectly unforgettable. Working together with one of our professional wedding choreographers, we can assist with all of your wedding dance needs. Felicia Lee Banks is the director of the famous Continental Dance Club in Bloomfield New Jersey. Please check out felicialeebanks.com a new site with classes and private lessons for all occasions! We can help you make your first dance special. We'll teach you steps to fit Your needs & Your special music. Visit our website to see details for our Wedding Lesson Package. First Dance Choreography and The Rehersal Dinner special dance class for the wedding party. What other dance would be so fitting for communicating your passionate love for each other than the Argentine Tango! 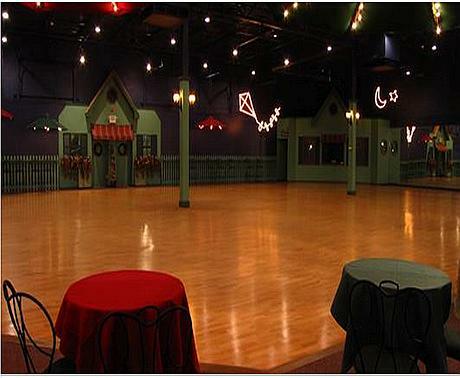 Rendezvous is a fun, social atmosphere for learning to dance and getting in shape with dance-based fitness classes. 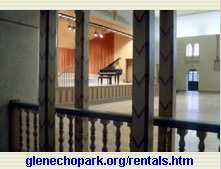 We are also available for Private Lesson and Special Event rental on the weekends. 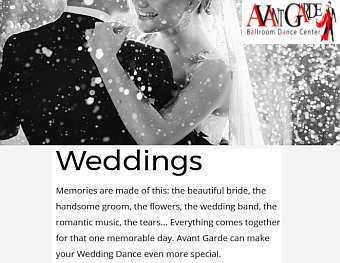 Private and small group ballroom dance lessons for wedding couples, wedding parties with an experienced instructor in midtown New York City. Wedding & Party Class. Repeating 6 week series. 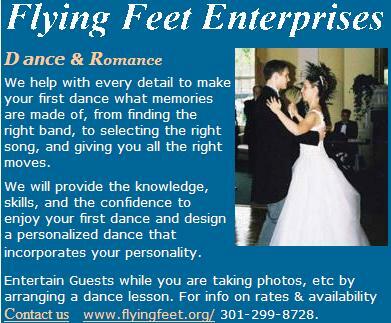 We offer dance lessons and/or choreographed dance routines for wedding couples. Private ballroom dance lessons from a patient, friendly instructor. Dances taught include Waltz, Fox Trot, Swing, Rumba, Cha Cha, Tango, and more! All ages; no partner necessary. 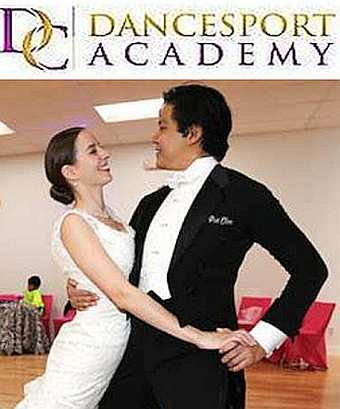 Easy to understand group or private ballroom dance lessons for the bride and groom to be. 8936 SW 17th Avenue, Portland. If you are planning for your big day, let us make it simpler by having one of our skilled instructors show you how easy it is to look great dancing to your favorite song. Visit us on the Web or call 410-825-5483. You choose the music and we design your dance. After the flowers are faded and the champage has been siped, your wedding dance will last forever. Learn to dance Disco, Ballroom, Latin, Nightclub, Cha Cha, Mambo, Rumba, Samba, Waltz, Merengue, Fox Trot, Tango, Swing or Polka. Contact The Promenade to prepare for your Wedding Dance and then Book your Wedding Reception at The Promenade Ballroom where everything will be arranged perfectly for your Reception Ceremonies and a splendid Dancing Party for your guests. Celebrate your special day in one of Glen Echo Park's historic buildings and dance the night away in this magical place-next to the Potomac River surrounded by art deco buildings and a carousel!. The beautifully restored 1933 Mediterranean style Art Deco building, listed on the National Register of Historic Places, is a formal and glamorous venue for large wedding receptions and Special Events. Whether planning an informal gathering of 20 or a formal dinner for 600, the Park's Property and Events Manage will assist you in planning your event. The Ballroom has a Wedding Planning Service and is an ideal Performance & Event Venue. 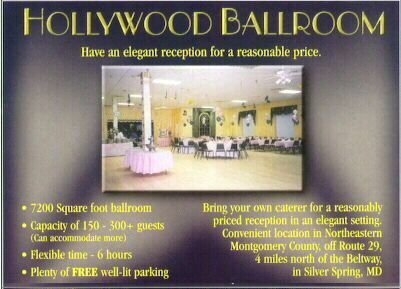 Comfortably accommodate 250 for a seated function including room for dancing, with an unobstructed view of the ballroom. A 12,000 s.f. venue unlike any other Wedding Venue, we offer a unique, elegant atmosphere, with the largest Hardwood Dance Floor in the Baltimore/DC area and carpeted seating space for 250. Bring your own Caterer for a more affordable Event. - Kitchen, walk-in refrigerator, serving bar, alcohol licenses avail. Northern Virginia's Premier Weddings, Receptions, Meetings and Banquets Venue at Fair Oaks and Springfield. The Phoenix Park Hotel's elegantly appointed ballrooms provide the perfect venue for special events. Our unique meeting space and catering selections will make any meeting or event a one of a kind experience. Wedding Reception Entertainment!! Ethinic Weddings a speciality! Please visit her website for additional details, photos and calendar of events! Celebrate your special day in one of Glen Echo Park's historic buildings and dance the night away in this magical place-next to the Potomac River surrounded by art deco buildings and a carousel! Wedding directory contains list of wedding planning services, wedding planners and vendors to help organize weddings and receptions. Or eves. 703 318 6618. Professional,Affordable and Dependable DJs give us a call ! DJ45rpm provides comprehensive DJ/emcee/sound & lighting for all events in Metro. BYODJ provides sound & lighting rentals in Fairfax, Loudoun and Prince William Counties. Talented, critically-acclaimed full-time musicians of the highest caliber playing swing jazz for your special event,dance,wedding reception or party. Seth Kibel leads a variety of jazz, swing, dixieland, and klezmer ensembles. Drop him a line and see if he has an ensemble that meets your needs! Christina Crerar, Washington DC-based jazz vocalist. Groups from vocal/guitar or vocal/piano up to a combo with horns are available. Call or email for rates and availability. Visit the website for audio, photos and more information. Andre Blais, located in Rhode Island, specializes in wedding, fashion, and commercial photography throughout New England. Offering the posed, candid, photojournalist or mixed coverage discerning couples look for in wedding photography. Click on Wedding Shoes in the Categories Box in the left column on the Dance Shoes Store Main Page. Cassandra Lynne offers a wide variety of wedding hair accessories like hair pins, combs, hair flowers, headbands and more. Think of us when you're wondering where to get a luxurious bridal hair accessory for your wedding! Large selection of unique and personalized wedding favors and reception accessories. Find free, funny, elegant, classic wedding speech here. Custom and unique wedding invitation designer who works one on one with her clients to design the invitation of their dreams. Australia's hottest online wedding & events emporium providing information on weddings, wedding gowns, wedding invitations, etc. Find a local wedding cake designer in your area. Find information on weddings, including wedding news and featured articles. Read through our forums and questions/answers section to find update info on the latest and greatest from the wedding world. Celebrate the magic of wedding! And on this special ocassion send free and beautiful wedding cards, ecards,greetings to your dear and loved ones and make their day a memorable one. I custom make jewelry using Swarovski beads and sterling silver/14kt gold. I have any color and size/shape imaginable - references available upon request. Wedding Flowers and Wedding Bouquets, plus flowers in season guide. Silver Jewelry from America's Jewelry Gift! Gold Jewelry from America's Jewelry Gift!